To view program information and to register for the program, please visit ncbankers.org/amc19. Keynote presenters include Ben Nemtin and Honey Shelton. What’s a Trailer Full of Mis-Matched Socks Got to Do with Learning and Development? This session will be followed by the quarterly compliance peer group meeting from 12:00 – 2:30 pm. Contact Vickie Bowers (vickie@ncbankers.org) if you plan on attending the meeting (lunch provided). 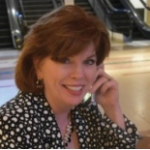 Patti Blenden is a dynamic speaker and leader with strong, intuitive management skills, and a deep conviction that “excellence is not optional.” She has extensive experience in working with financial institutions, bank data processors and governmental agencies. Patti has more than 35 years of experience in the financial industry as an entrepreneur and financial institution executive. She is a Certified Public Accountant, skilled regulatory compliance consultant, bank operations specialist, system automation designer and an enthusiastic regulatory compliance instructor who believes in providing real-world solutions ready for immediate implementation. Patti founded Financial Solutions in 1990 to offer financial institutions complete, cost-effective regulatory compliance solutions, thereby eliminating an institution’s need to rush to increase overhead. The company specializes in providing regulatory compliance assistance for financial institutions through policies, programs, on-site compliance reviews and customized training. The NCBA has secured a discounted rate of $159/night for our attendees at the North Raleigh Hilton. To secure this discounted rate, please call the hotel directly at 919.872.2323 and ask for the NC Bankers Association discounted rate. This rate includes complimentary transportation to and from the North Hills Mall. The hotel is located two miles away from the NCBA. Please note that attendees are responsible for securing their hotel reservations. Should you encounter any issues with your reservation, please contact Business Travel Sales Manager, Courtney Quatrara at 919.878.4914 or courtney.quatrara@hiltonraleighnh.com. Core Processor Panel – What to do with All the Data? Banker Panel – What Has Worked, and What Hasn’t? Stay tuned for additional program details! The NCBA has secured a discounted rate of $168/night for our attendees at the Sheraton Imperial Hotel. To secure this discounted rate, please use the link below or call the hotel directly at 919.941.5050 and ask for the NC Bankers Association discounted rate. Please note that attendees are responsible for securing their hotel reservations. The cut-off date for this discounted rate is April 18. The complete Universal Banker Certification Series is a four-day program. This session will cover Days I & II, with topics listed below. Attendees can either elect to register for the full series, or for the individual segments. To view the full program overview with descriptions of Days III & IV, please CLICK HERE. With constant change facing community banks, transactions falling, overall visits declining, we must find ways to engage our customers, new customers, and the community. We must find ways to deliver better customer service in a more efficient manner. The Universal Banker Certification Series is a four-day, comprehensive program for beginning and new community bankers that focuses on creating a customer friendly environment on a budget. This program will will focus on how we deliver the ultimate customer experience, streamlining work processes to make things fun for employees and the customer, resulting in the optimal bank of the future. The training includes group discussion and problem solving, fresh ideas through presentation, and a case-study. Bankers from any department within the bank. These bankers may be new hires, beginning bankers, or bankers with years of experience. They are the emerging bankers who want to become qualified to move laterally or forward in the organization. Focuses on the shift from order-taking to an engaged, advisory culture and the team issues faced when changing cultures. Addresses the needs, wants, and expectations of the new, digital, and younger customers and employees. Jennie is the Owner and CEO of Focused Results, LLC, a sales and marketing strategy, consulting, and training firm, concentrating in results-driven process consulting and training experience in community banks and FI’s. An expert in designing and implementing sales efforts and processes, she designs solutions to drive top line growth through better utilization and training of existing sales forces, including sales management. Jennie is a graduate of Indiana University and has a certificate in consulting services from Ball State University. Prior to joining Focused Results, she was Director of Sales and Marketing for a $3 billion bank holding company, Sales Manager for a high performing mid-level bank, and Director of Corporate Training for a large Midwest insurance company. 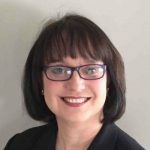 A charismatic speaker and consultant, Jennie consults with numerous financial service organizations on revenue, sales, sales leadership, and organizational performance.